Drinkwell Replacement Filters keep water clean & fresh. 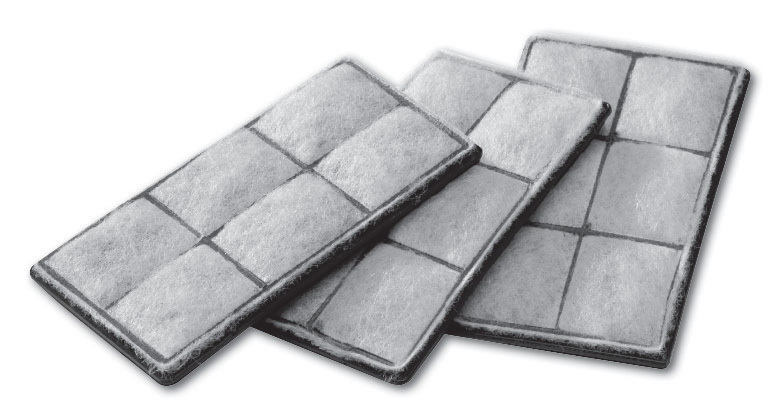 Each filter is constructed with two filtration pads; first a duo density polyester pad that's designed to catch large particles such as hair and other debris. The second carbon impregnated pad removes bad tastes and odors, making the water fresher and more appealing to drink. In between the pads we have added granulated charcoal for extended filtration. Filters should be replaced every 2-4 weeks.